Part of their sliding door hardware solutions, Pemko hangers are a durable hardware for all your hanging needs. 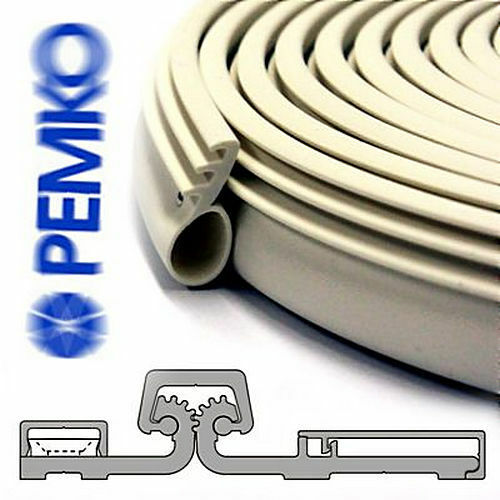 Since Pemko usually includes these products within their sliding or folding door systems, the selection of these products is usually inclusive in your finish and hardware material choice. However, if you need to purchase hangers individually, they are available for purchase with all the great guarantees that ensure customers select Pemko’s brand over and over again. Standard materials are steel and aluminum depending on your preference and whether or not you need standard or heavy-duty applications. The finishes are more varied and include colors such as dark bronze, aluminum, and mill finish. Regardless of finish, hangers are hidden by hardware end-caps and should not be visible. Pemko guarantees their products, so every hanger selected comes with a manufacturer warranty and their guarantee of excellence.